Informacioni q� p�rmban ky kurs do tu siguroj� nj� kuptim shum� m� t� plot� t� t� v�rtetave t� Dhjat�s s� Re dhe nj� m�nyr� p�rshtat�se n� t� cil�n na transmetohen neve. Nj� studim i k�tij kursi do t� na aft�soj� ata t� cil�t do t� marrin p�r t� m�suar t� tjer�t mbi Fjal�n e Per�ndis� n� nj� m�nyr� t� re madh�shtore. Nga , 255 faqe, botuar ne shqip nga INK-International? ? The information contained in this course will help provide a much fuller understanding of New Testament truths and the reliable manner in which they were transmitted to us. A study of this course will enable those who absorb it to teach others about the Word of God in a greatly enhanced fashion. 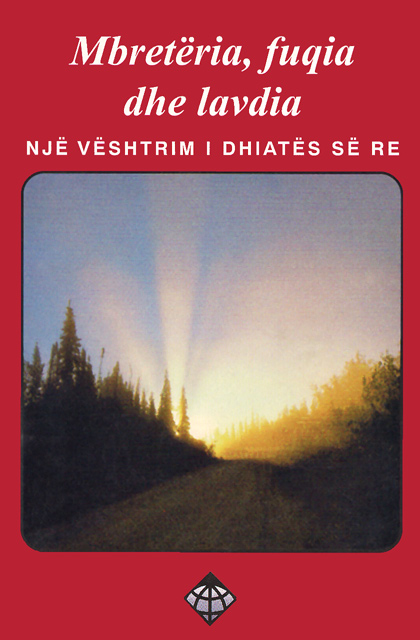 By , 255 pages, published in Albanian by INK-International?